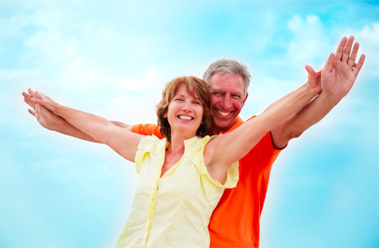 Prolozone is a safe and effective non-surgical treatment for many kinds of acute and chronic pain musculoskeletal conditions. 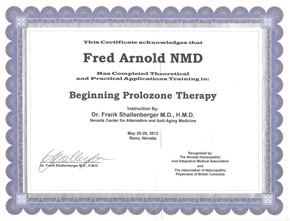 Prolozone Therapy is a pain rehabilitation treatment developed by Dr. Frank Shallenberger in the 1990’s. 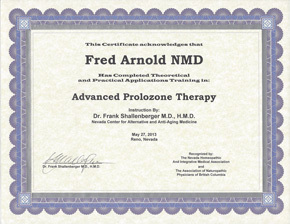 Prolozone Therapy is derived from the Latin word “proli” which means to proliferate, regenerate, and rebuild. 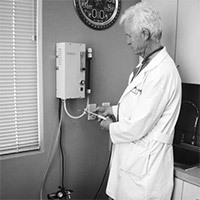 It is a safe and effective non-surgical treatment for many kinds of acute and chronic pain musculoskeletal conditions. 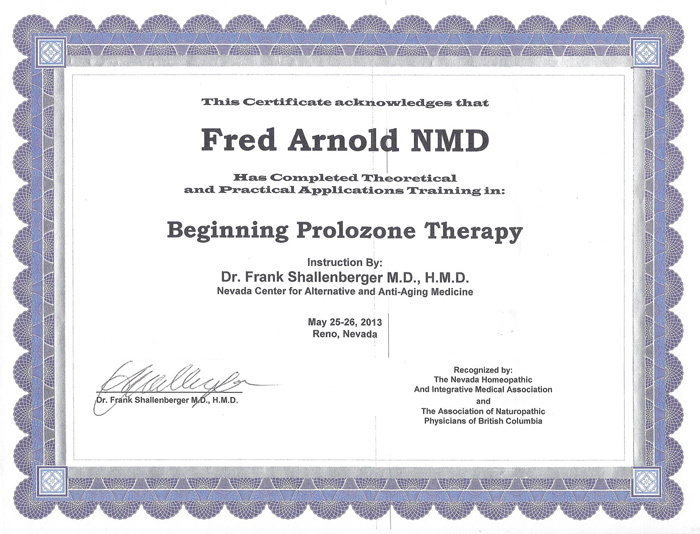 Prolozone Therapy™ is so named because the treatment uses ozone gas to cause the proliferation, regeneration, and rebuilding of new ligament, tendon and cartilage tissue in areas where they have become weakened. 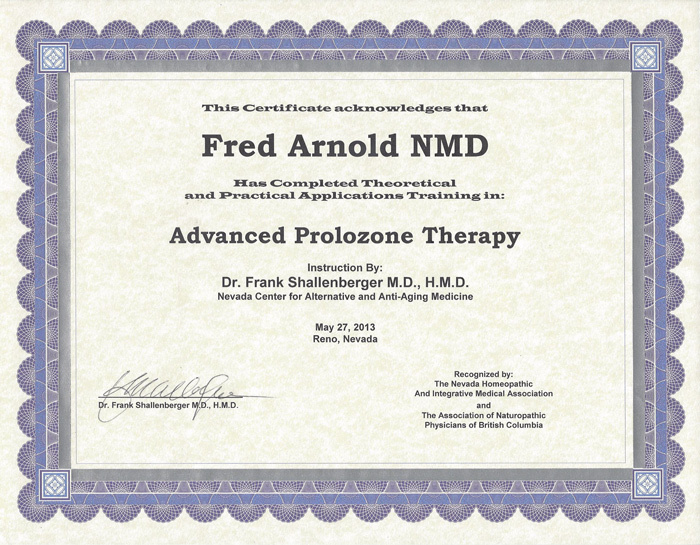 WHAT CONDITIONS ARE TREATED WITH PROLOZONE? 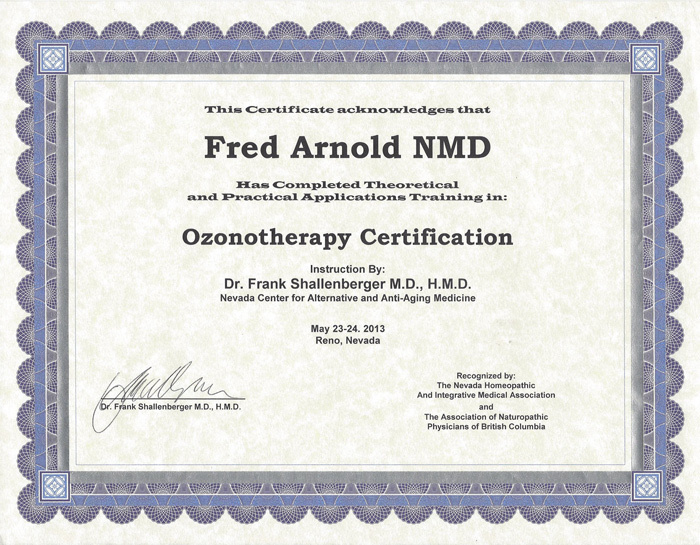 OXYGEN UTILIZATION AND CHRONIC PAIN? Click image to Read Dr. 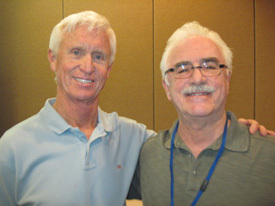 According to Dr. Shallenberger, chronic pain occurs in areas of the body that contain ligaments, cartilage, or articular surfaces and “these areas naturally have only 1/10th the circulation and therefore oxygen utilization that is seen in other connective tissues”. 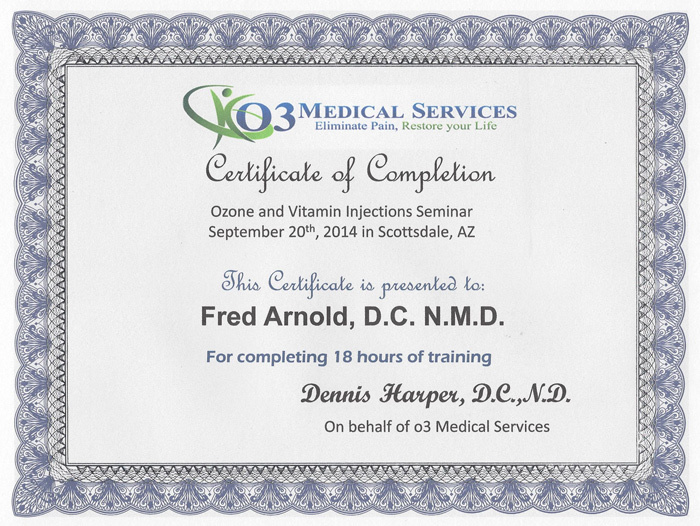 Oxygen utilization simply refers to how efficiently a cell or cells are converting oxygen to energy. 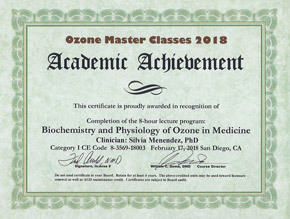 According to Dr. Shallenberger, “decreased oxygen utilization is at the root of all chronic disease and is also the fundamental cause of chronic pain and tissue degeneration.” Aging further decreases both circulation and oxygen utilization and is why most chronic pain patients are older. Trauma from injuries and prolonged wear and tear also produces localized edema and inflammation causing further localized decrease in circulation and oxygen utilization. 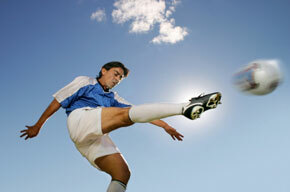 Of course, the greater the injury, the more likely this scenario will develop. 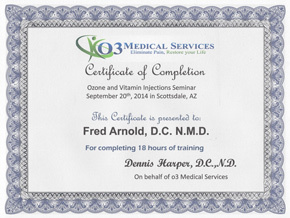 Decreased oxygen utilization also prevents the body’s stem and blast cells from effectively healing the damaged areas. 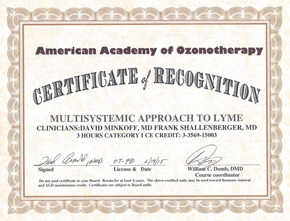 This decreased circulation and inflammation results in increased localized acidosis with the formation of lactic acid which then causes CHRONIC PAIN. 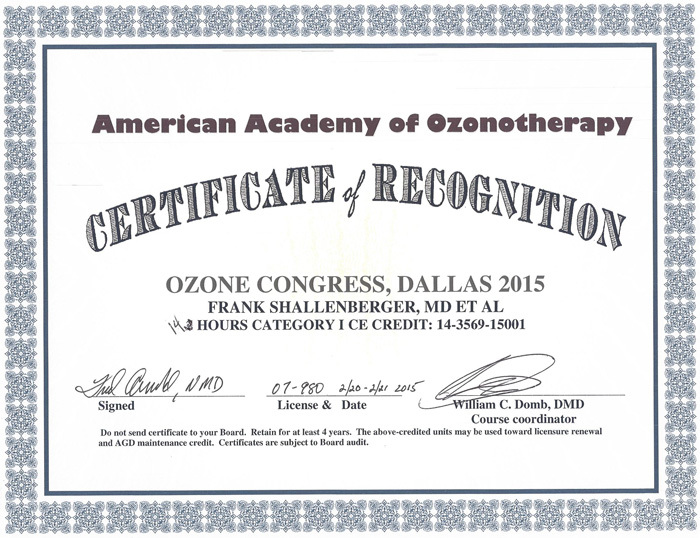 Prolozone works by improving oxygen utilization in a localized area of damaged connective tissue, allowing it to heal, and to restore full function. 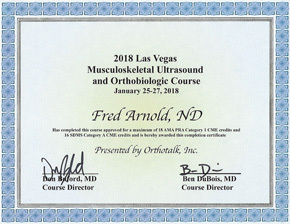 It is the injection of healing nutrients and ozone in and around ligaments, tendons and cartilage where they attach to the bone. The injected ozone increases the blood supply and flow of healing nutrients and the tissues get what they need to heal. More importantly, it also stimulates the deposition and activity of fibroblasts and chondroblasts. These cells synthesize the collagen and cartilage that the body needs to strengthen and tightens the injured tissues; thereby stabilizing the area, and removing the cause of the pain. The result is that the tissues get what they need to heal. And as they heal, the circulation to the area is re-established, and the treatment is complete. 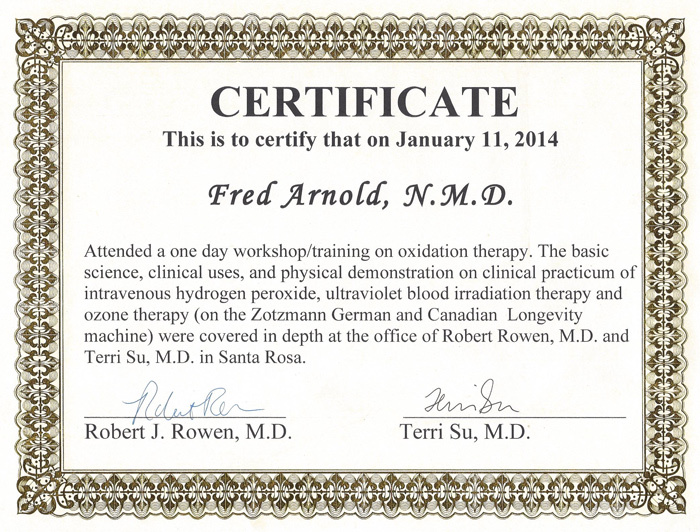 By treating the cause of pain, prolozone eliminates the sensation of pain. 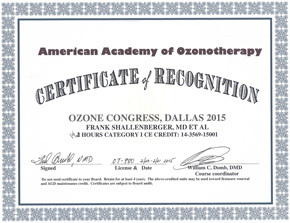 Ozone is a naturally-occurring, highly reactive molecule consisting of three atoms of oxygen. 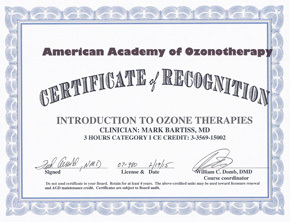 Because of its effectiveness and safety record, ozone has been used in medicine for over 100 years. 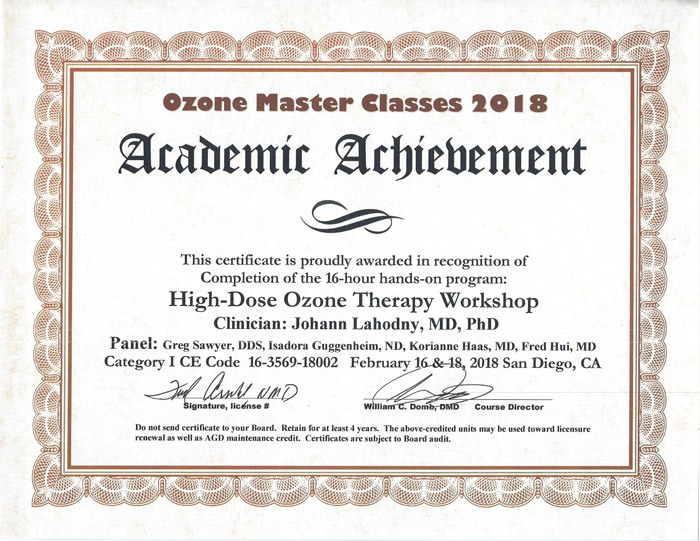 Ozone is so reactive, it is able to stimulate fibroblastic and chondroblastic activity that is needed to rebuild ligaments, tendons, and cartilage. When oxygen (02) molecules go into a ozone generator they are exposed to an electric spark that produces oxygen and a small amount of ozone gas (03), a relatively unstable molecule. This instability of the ozone molecule is what makes it so powerful, producing a high concentration of the more stable 02 molecule. 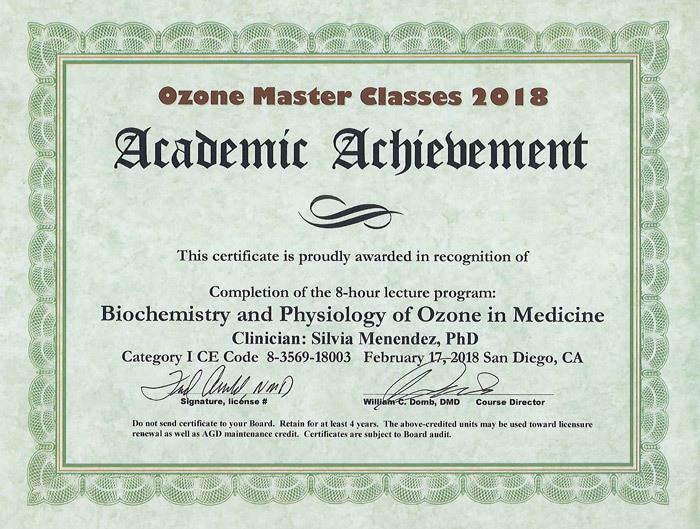 This high level of reactivity, combined with the innate safety of oxygen, makes ozone the ideal therapeutic molecule to rebuild painful joints. 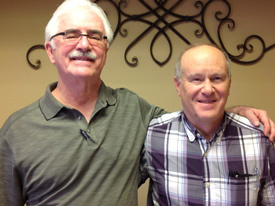 Dr. Arnold will perform a consultation and a neurological, orthopedic examination of the involved area(s) of pain. It is requested you bring any diagnostic testing and reports such as x-rays, MRI’s, if these have been performed. 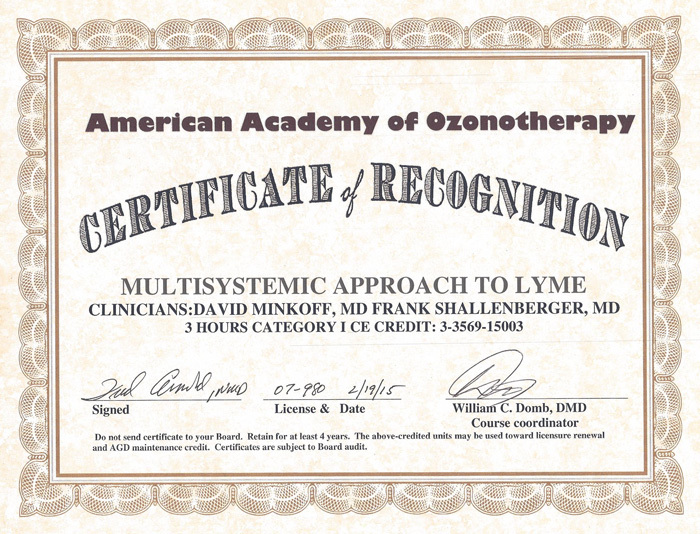 After your individual condition has been evaluated, you may begin treatment that same day. The regenerative healing injections are made in two phases. First a solution with procaine (an anesthetic, like when you go to the dentist) and vitamins critical for oxidation such as methlycobalamine (B12) and folic acid are injected in and around the painful area. 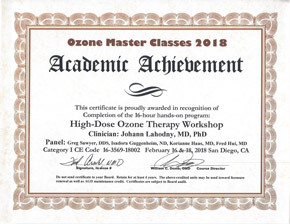 Next, a precise amount of concentrated ozone gas is injected at the same area. 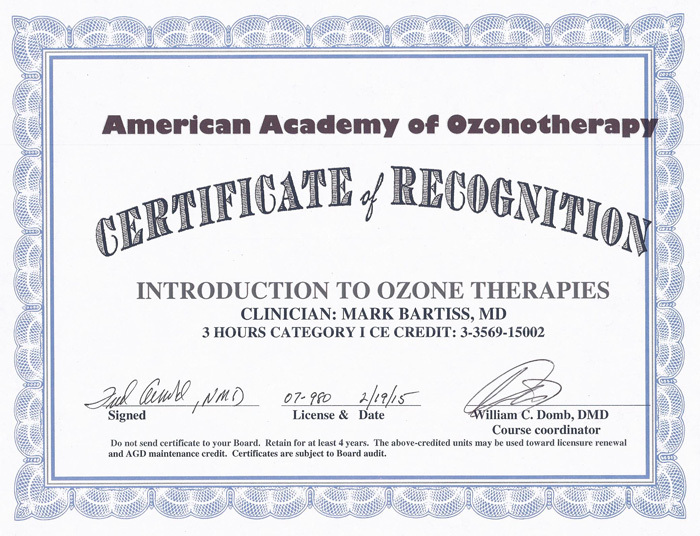 Due to the local anesthetic and oxidative effects of the ozone gas, many patients experience an immediate reduction in their pain, even though it has been present for many years. The response to treatment varies from individual to individual, and depends upon one’s healing ability and level of injury. On an average most people need 3-5 treatments; however, some people with more difficult conditions require more dependent upon their individual condition. 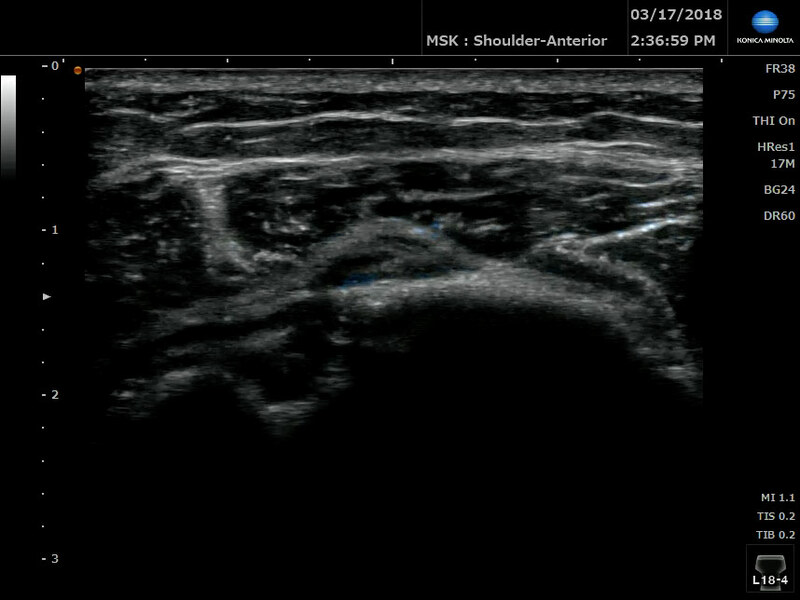 Exact visual identification of the structure to be injected with immediate assessment of the structures to be injected. Guided injections to the specific area(s) to be treated. Comparison views of anatomical structures are readily available. Structures such as tendons can be visualized moving in “real-time” to evaluate their functionality and proper range of motion. 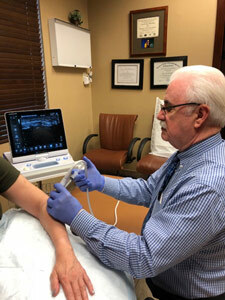 Ultrasound injections can be used with the different types of regenerative joint injections utilized at Scottsdale Pain Rehabilitation and Wellness: Prolotherapy, Prolozone and Platelet Rich Plasma (PRP). Palpation is always performed before any ultrasound guided injections. 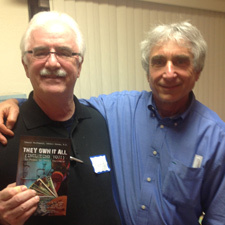 Sibbet WL, Peisajovich A, Michael AA et al. Does sonographic needle guidance affect the clinical outcome of intraarticular injections. 2009. J of Rheum 36:9. The Prolo-PRP IV is a specialized intravenous mixture of vitamins, minerals and amino acids to maximize the effects of regenerative medicine injections such as Prolozone performed at Scottsdale Pain Rehabilitation and Wellness. This specialized IV promotes the healing and regeneration of damaged and weakened tissues such as ligament, tendon and cartilage. 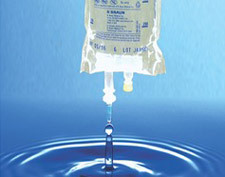 With intravenous nutrition, the nutrients are delivered directly into the blood stream rather than being absorbed by the intestines. The time to complete the Prolo-PRP IV is 2 hours. 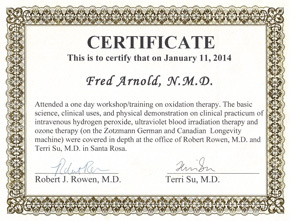 Prolozone is an extremely safe and effective treatment to not just ease pain, but to treat the cause of pain: decreased oxygen utilization. This technique can be used to treat pain of any kind. Prolozone may be used independently or with other pain regeneration treatments such as prolotherapy and Platelet Rich Plasma (PRP) to treat painful musculoskeletal conditions. Prolozone should always be considered as a treatment to address the cause of pain rather than the dangerous treatments involving prescription medications, steroid injections and especially surgery.